An alchemy request on Etsy caught my attention because it involved working with feathers and I had some that I thought would complement the fabric of the hat in need of new adornment. 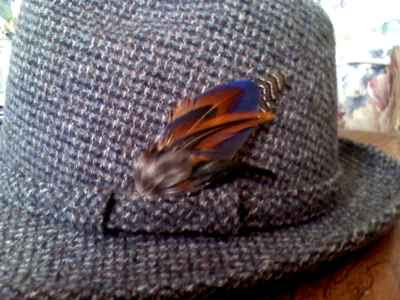 It seems that the previous feathers used to adorn this gentleman’s fedora had fallen apart and new ones were being requested. The first thing that I did was to pull together a few feathers and mock up an idea for my prospective customer to look at. After seeing my original design, he asked if I could address 5 specific thoughts that he had about it. I felt that I could address them and went back to my feather stash to come up with an improvement on the original design. It was a hit, so I got to work. The feathers had to be trimmed to size and stitched together. Then floral tape was to be wrapped around the base to make it easier to attach the feathers to the hat band. The stitching turned out to be more challenging than usual in order to keep the feathers oriented correctly. I had to stitch some additional quill material into the base area to keep the feathers in place. I have found that feathers seem to have a mind of their own when it comes to securing them together. You have to work with their natural tendencies and even then, some shifting is likely to occur. This feather grouping stayed put very well when I stitched them up, however when I added the floral tape the spotted feather in the back decided it wanted to be on the right instead of the left of the blue feather. 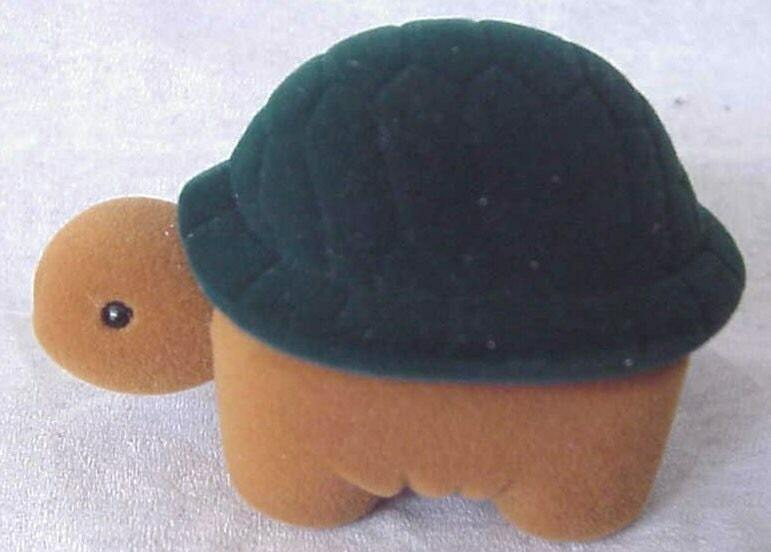 Luckily this was in keeping with one of the 5 design thoughts (a sweep to the right design) that my customer had originally had, so I didn’t fight with it. If you are looking for another nature themed family outing, be on the look out for a live butterfly exhibit coming to your area. Visit a local butterfly attraction to enjoy seeing and learning about these lovely creatures and possibly get motivated about attracting them to your garden with nectar, water sources and host plants. A friend of mine convinced me to take a break for my birthday recently and visit the “Butterflies in the Garden” exhibit at the Fort Worth Botanic Garden. This exhibit is open daily this year through April 4th. 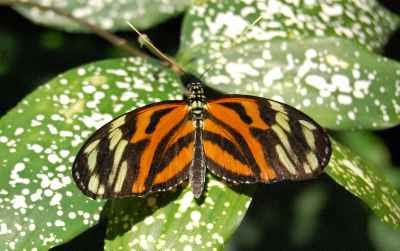 Many tropical butterfly species fill the conservatory. 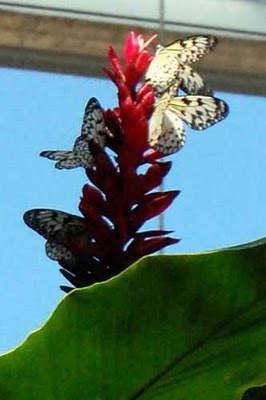 You will find them flitting through the air, perching on flowers or just hanging out on the greenery. I have included a couple of the many photos that I took during my visit. If you do not live close enough to take advantage of this wonderful exhibit, check with your local arboretum or natural history museum to see if they know if and when a similar exhibit is scheduled to come to your area. While visiting the Texas State Fair the last couple of years, I have strolled through a butterfly exhibit garden that was staffed with volunteers to point out the caterpillars and butterfly eggs that were on the host plants in the garden. Adult butterflies could be seen flitting in and out as well. Many different opportunities may await you in your community. So, take a moment and check out your local butterfly watching prospects. You’ll be glad you took the time to view these jewels of the air. Watching wildlife in your yard is an enjoyable pastime. Two of the best ways to attract wildlife to your yard are to provide food and water. This can be achieved through plant selection and well placed feeders and water sources. With their high degree of mobility, birds are an easy critter to attract to your landscape and the variety of sizes and colors are a joy to behold. While you can purchase and maintain hummingbird feeders, you can also plant small trumpet shaped flowers to attract these tiny aerial acrobats to your yard. These plants will also provide color for you to enjoy. Three of my favorite hummingbird attractors are autumn sage, agastache, and anisacanthus (hummingbird bush). 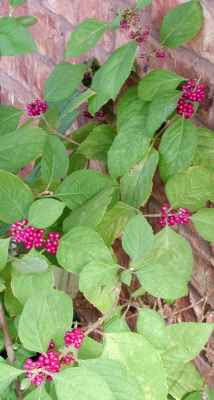 For a bright spot of fall color, before the birds discover it, American beautyberry is a good choice. Several species of birds enjoy these bright magenta berries. There are many hardscape ways to provide food and water. Water sources can include bird baths, ponds, and fountains. There are many good bird feeders available in the marketplace. If you would like to provide both at once, a “teacup” bird feeder might be a good choice for you. These small combo feeders and bird baths are great for an intimate setting just outside a window. Hang them from a limb or a garden shepherd’s hook so that it is visible from a window. 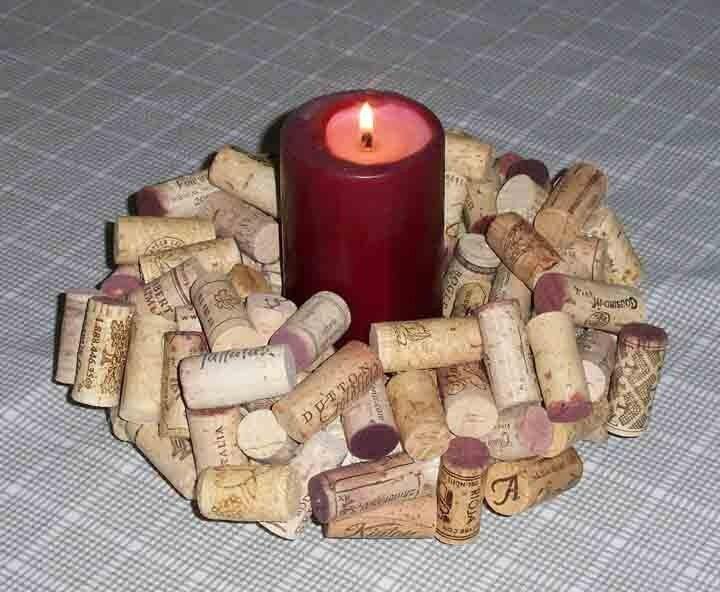 You will also want to place it so that it is easy to refill and clean. Add a little wildlife magic to your landscape with these suggestions. The combo feeder and bird bath pictured is available from EDCCollective. The name of one of its recycled components is the “Magic Garden series”. It is suspended from brass components for years of rust free use. I really appreciate being featured by the treasury makers. 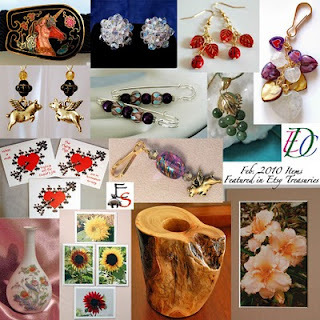 Because of this, I have listed below (in alphabetical order) links to the 7 different shops that featured at least one of my items, as well as an item of theirs that I especially like. 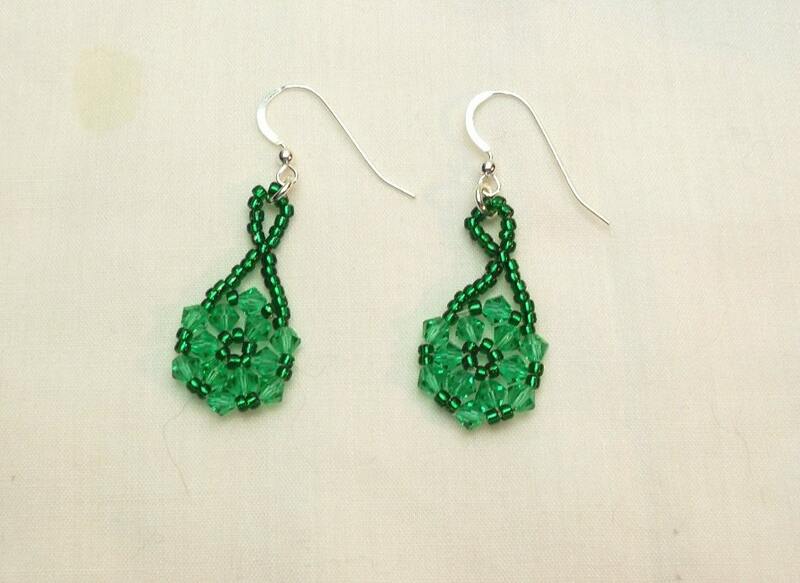 These earrings are perfect for St. Patrick's day or May birthday gifts. 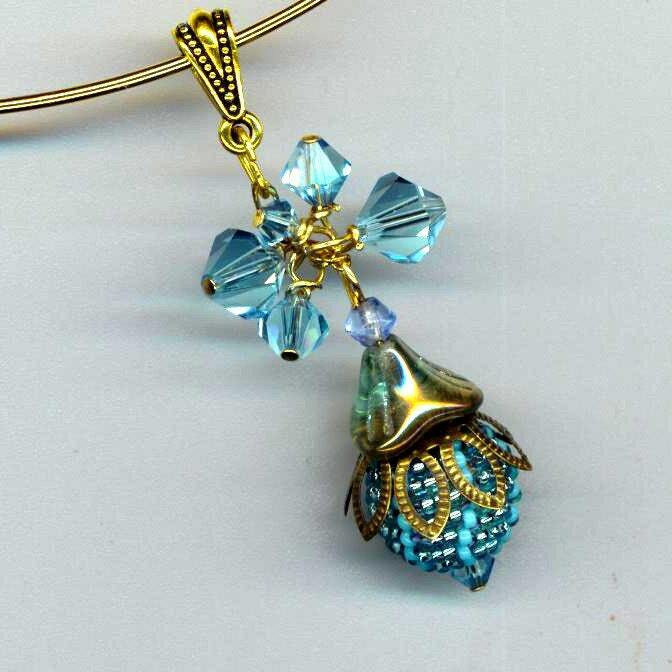 This pendant would make a lovely gift for someone with a March birthday. 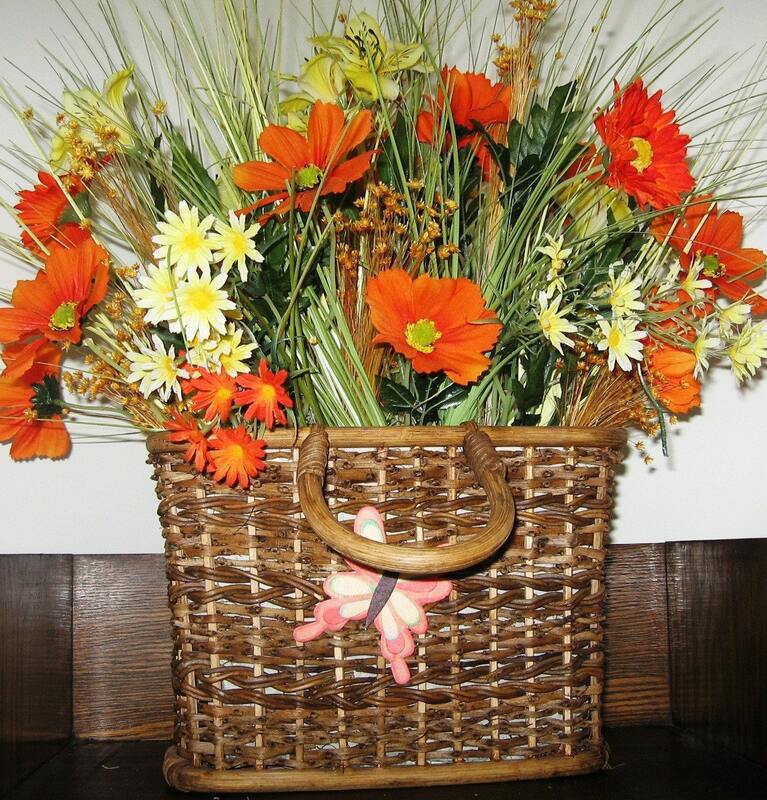 This arrangement, titled "Sunshine in a Basket", is the perfect thing to chase the winter grays away. This gift box would be the perfect way to present someone with a ring such as the one above. Hopefully the following items will give you an idea of the breadth of talent on the Eclectic Artisans Team. We have many more talented members as well. Enjoy these items and please consider browsing their shops. 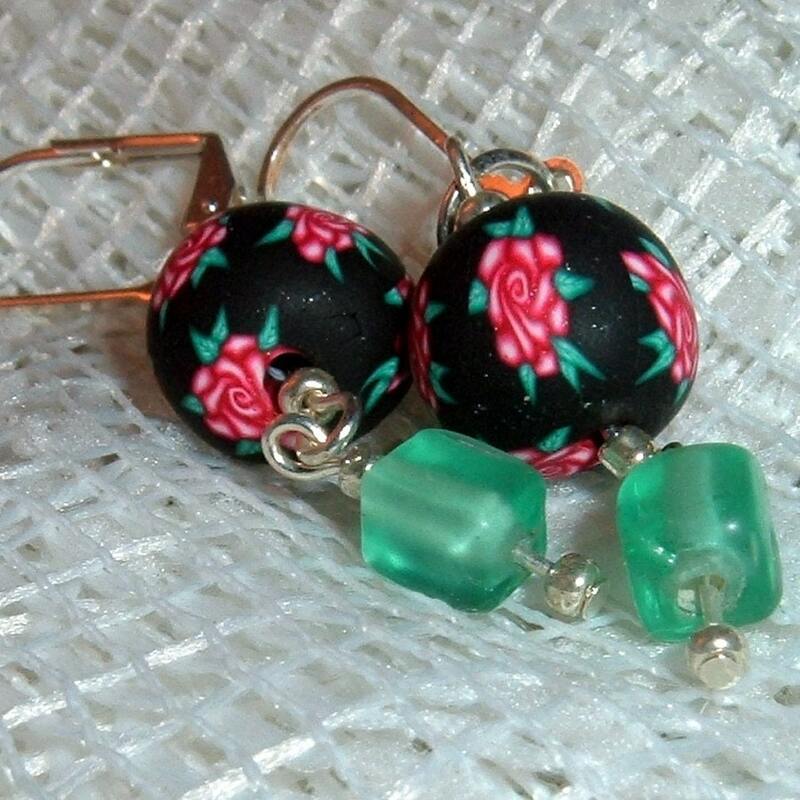 The complexity and beauty of EnchantedBeads' work is mind boggling. 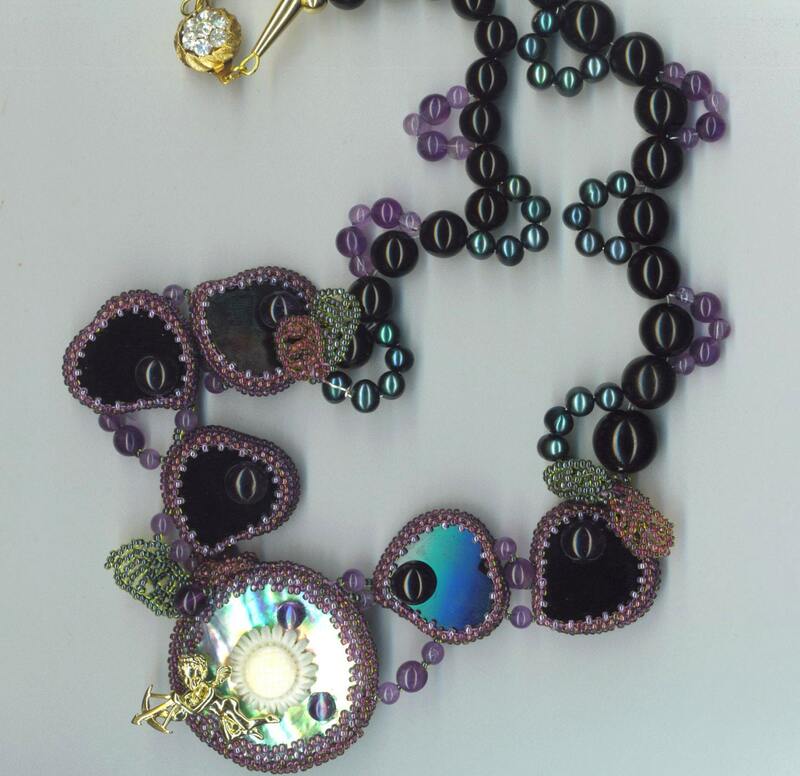 Her Midsummer Night's Dream necklace is very glamorous. I promote DivaDea's penguins every chance I get. They make me smile. 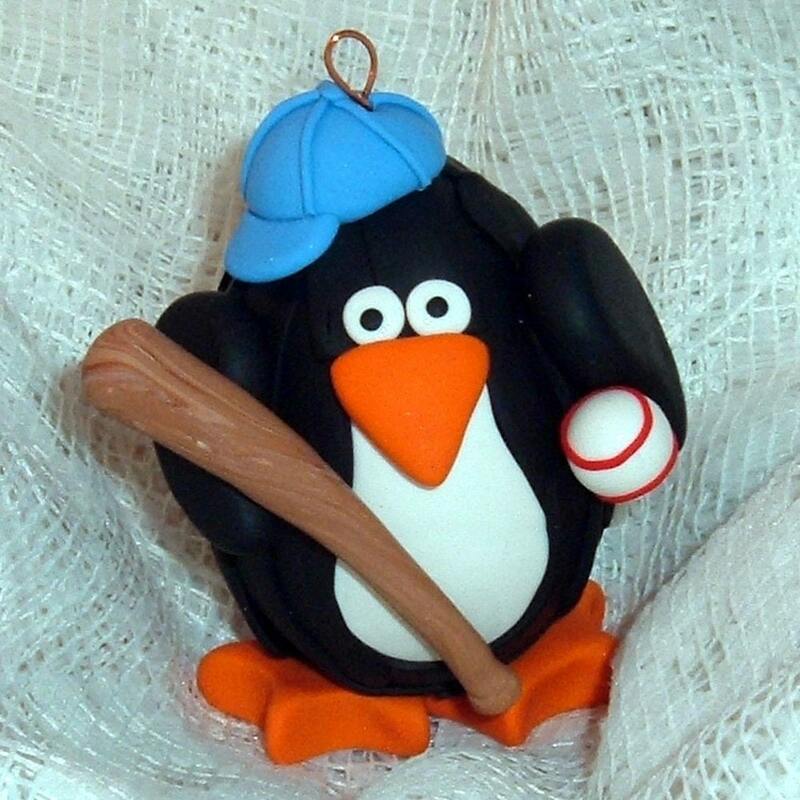 This cute little guy would be a perfect gift for any Little League coach. Wreaths and tabletop floral arrangements are available for any decor at Flahwiz. 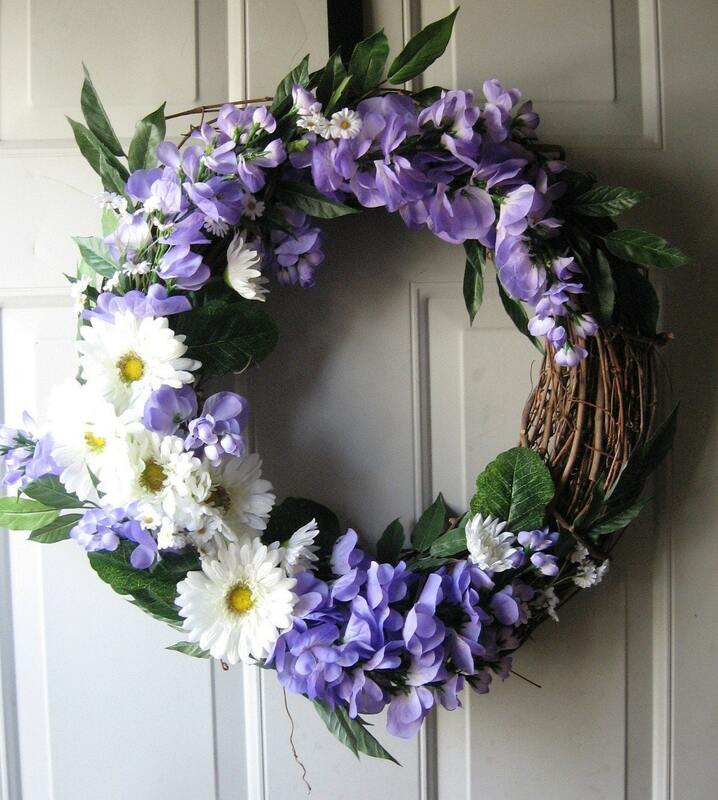 This spring floral wreath would brighten up any door. 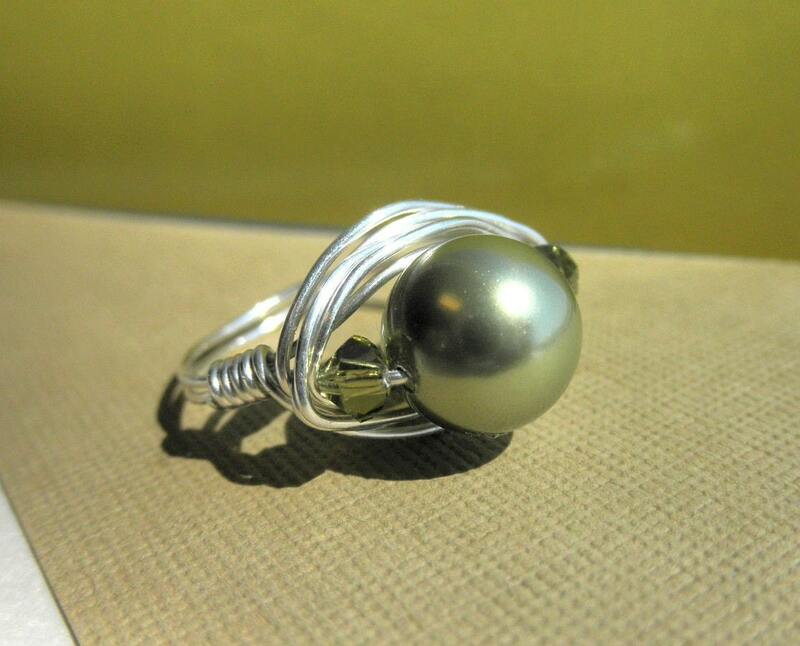 Continue today's blog ring with DivaDea's post.